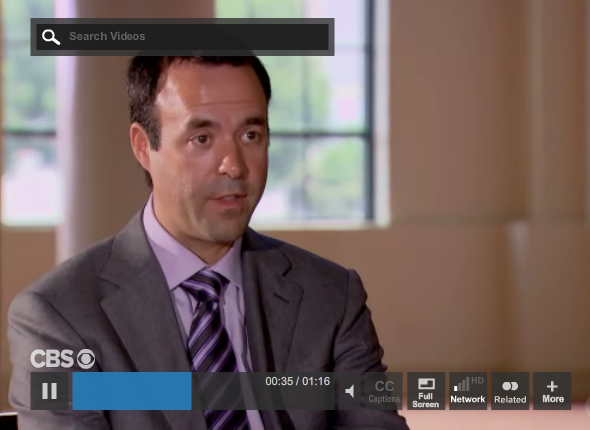 Jose Mas, CEO of MasTec, Inc. helped an employee with Fibromyalgia on the Undercover Boss show, which aired on May 11, 2012. Jose found out one of his employees, Wendy, lives with Fibromyalgia. Wendy told Jose when he was under cover that she felt like she had lost her smile, due to damage from medications she uses for Fibromyalgia. Jose not only gave her the time off to get her teeth fixed, but said he was also willing to pay the full costs to get them fixed, no matter if it totaled $20 – $25,000. Wendy’s husband also works for MasTec and she had shared with Jose that they are struggling with $30 – $35,000 in debt. So, Jose gave them $30,000 to pay off their current debts. Catherine Monson, CEO of FASTSIGNS was very generous to her employees on Undercover Boss, which aired on May 5, 2012. 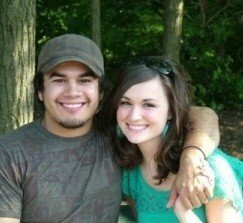 One of FASTSIGN’s employes, Sheldon, is engaged to be married. His fiance, Michelle has battled cancer, a collapsed lung and has undergone radiation and chemo. Sheldon shared when Catherine was undercover that they are struggling financially to afford a wedding and to pay her medical bills. Catherine also gave $15,000 to one of her employees, Scott, so that he and his wife, Julie can spend more time at home with Julie, who has Multiple Sclerosis and their daughter Maya. She also gave them $10,000 to help with future college expenses for Maya. Catherine’s brother, Charles Monson, was in a surfing accident when he was 16 years old, which resulted in a broken neck and paralysis from the shoulders down. Charles is the Founder of Wheels of Mercy, a non-profit organization that provides wheelchairs and walkers to those who need them! Thank you, Catherine, for being so giving to your employees! And, thank you, Charles, for reaching out to help others in need! Clip from Undercover Boss. Watch full episode here. Teresa is there to raise money for her charity, The NephCure Foundation (NFC), which researches the cause, improved treatment and cure for the potentially debilitating kidney disease Focal Segmental Glomerulosclerosis (FSGS) and Nephrotic Syndrome. “Teresa first encountered The NephCure at a charity event when she met a young boy who was suffering from an incurable kidney disease. As a mother herself, Teresa was emotionally affected by this boy’s story and was shocked to learn that the cause of many kidney diseases is still unknown” (Celebrity Apprentice). The Invisible Disabilities Association (IDA) has had direct experience with two amazing men battling FSGS, Ed Hearn and Jason Graham. Ed is a NY Mets World Series Champion, Author, Speaker and former NCF Ambassador. 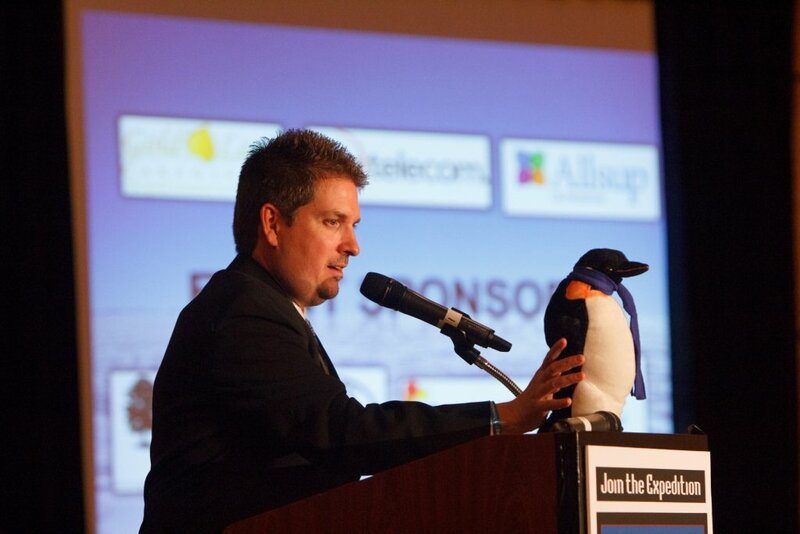 Ed was the Keynote Speaker for the 2010 IDA Honor Awards Banquet. He was also the recipient of the 2010 IDA Perseverance Award. Ed’s message was extremely inspirational, as Ed has had three kidney transplants and several bouts with cancer. Read more about Ed and watch his incredible keynote, “Keep Swingin” right here on IDA. Jason was the recipient of the 2010 IDA Inspiration Award. Jason battled kidney disease that led to a kidney transplant that failed. He was in need of another, when his health quickly diminished. Jason put up an amazing fight for many years. Tragically, he lost his life in 2011, when he also developed a rare cancerous brain tumor. Read more about Jason and watch his very touching award acceptance speech right here on IDA. On the April episode of Celebrity Apprentice, Teresa became the Project Manager. The task was for the two teams to create a a 60 second commercial for Entertainment.com. She won $20,000 from Celebrity Apprentice and $30,000 from Entertainment.com. Other celebrities who have participated in Season 5: Adam Carolla, Arsenio Hall, Aubrey O’Day, Cheryl Tiegs, Clay Aiken, Dayana Mendoza, Debbie Gibson, Dee Snider, George Takei, Lisa Lampanelli, Lou Ferrigno, Michael Andretti, Patricia Velasquez, Paul Teutul, Sr., Penn Jillette, Teresa Giudice, Tia Carrere, Victoria Gotti. 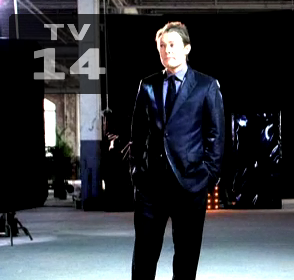 UPDATE 5/6/12 – Clay Aiken makes it into the Final Three of Celebrity Apprentice. Clay and project manager, Lisa Lampanelli won the last task. On the other team, with Arsenio Hall and Aubrey O’Day, Teresa Giudice was their project manager and was sent home. The four remaining contestants were immediately sent into one on one interviews with former Celebrity Apprentice contestants Country Singer John Rich (Season 4 Winner) and Actress Marlee Matlin (Season 4 Runner Up). When the final four returned to the boardroom, Lisa Lampanelli was fired. Teresa Giudice’s Charity. Celebrity Apprentice. NBC.com. Season 5. Clay Aiken was not chosen by Donald Trump to be this season’s Celebrity Apprentice. May 20, 2012. Clay Aiken and Arsenio Hall, along with their teams, were asked to create a celebrity variety show and a 30-second public service announcement (PSA). Clay and his team took on a carnival theme for their room and their show consisted of singing from Clay, Aubrey O’Day, Debbie Gibson and Dee Snider. Penn Jillette also did a magic act, alongside of his guest, Teller. The PSA was a very impacting spot about his charity, the National Inclusion Project (NIP). Clay and his team raised and impressive $301,000 for the NIP. Although Arsenio and his team raised less than Clay’s ($167,000), Donald Trump chose Arsenio to be the Celebrity Apprentice. Earlier in the season, Arsenio raised $105,000 versus $60,000 for Clay. Arsenio’s charity, the Magic Johnson Foundation not only received what he raised during his task, but also the $250,000 prize for winning. Congratulations Arsenio and MJF! UPDATE 5/13/12 – Clay Aiken makes it into the Finals of Celebrity Apprentice. Aubrey O’Day is fired, leaving Clay Aiken and Arsenio Hall to battle it out in the finals. Clay and Arsenio are giving their tasks to raise money for their charities by planning, producing and starring in a fundraising event. They were given the opportunity to choose from a group of former Celebrity Apprentice contestants. Clay’s Team: Aubrey O’Day, Debbie Gibson, Dee Snider and Penn Jillette. Arsenio’s Team: Adam Carolla, Lisa Lampanelli, Paul Teutul, Sr. and Teresa Giudice. March 30, 2012. Clay Aiken, first runner up on ‘American Idol’ Season 2 in 2003 is now a contestant on ‘Celebrity Apprentice,’ Season 5. He is there to raise money for his charity, the National Inclusion Project. The National Inclusion Project is an organization that I helped start about eight years ago. I used to see kids with disabilities get kicked out of programs or not be allowed to go to a summer camp that I was working at because they had Autism or a little boy or girl had Cerebral Palsy and they didn’t have the ability to work with them at the summer camp. In our social settings. We do segregate. We don’t include individuals with disabilities in workplaces oftentimes and almost always, unfortunately, in extra-curricular programs. So we work with university to help create a curriculum that teaches people how to include kids with disabilities and without disabilities in service learning projects. So, inclusive groups of kids, teenagers, will work together to do stuff in their community. We are sort of a service organization that serves other non-profits in a way (Video: Clay Aiken’s Charity). For his first task as Project Manager ,the show that aired on March 25th, the teams were asked to throw a party for Crystal Light’s new “mocktail” beverages. For the men’s team, Unanimous, Clay volunteered to be Project Manager. For the women’s team, Forte, Aubrey O’Day was the Project Manager. Although the contest seemed to be close, Team Unanimous was chosen as the winners. As their reward, Clay’s charity was to be given $20,000 from the show. As an added bonus, Crystal Light also contributed $30,000, making Clay’s contribution to his charity, $50,000. Video: Life’s a Peach. Celebrity Apprentice. Season 5. 2012. 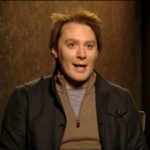 Video: Clay Aiken’s Charity. Celebrity Apprentice. Season 5. 2012. Most of us can only imagine what it would be like to be famous; to have no worries about money, the best medical care, pampering at the spa, lots of vacations, lots of friends and a beautiful home with a cook and a housekeeper. So, what could a star possibly have to complain about? Turns out, as successful as George Clooney is, he is still human. A few days ago, The Hollywood Reporter published that Clooney revealed he is battling pain, insomnia and bouts of loneliness. ‘Turning off the television causes me to think, and once I start that vision roaring, I have a very tough time getting to sleep.’ With the flickering screen, ‘I’m able to numb out.’ Even then, ‘Without question, I wake every night five times’ (The Hollywood Reporter). 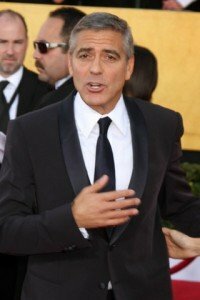 One thing we noticed about some of the comments made about Clooney by reporters and readers, they often asked why he did not just use Tylenol PM or alternative treatments such as acupuncture. Therefore, it appears even celebrities, who have access to all kinds of doctors and treatments, still have people assuming they have not tried anything or done anything about their condition. Most likely Clooney has tried these things and more. Nevertheless, as many with chronic conditions quickly discover, some things work for some people, but not for others. George Clooney: The Private Life of a Superstar. Stephen Galloway. The Hollywood Reporter. February 12, 2012. George Clooney: Lonely, can’t sleep, battling chronic pain. Ann Oldenburg. LifelineLIVE. USAToday. February 17, 2012. Video. George Clooney Reveals His Secret Pain. Stephanie Bauer. HollyscoopTV. February 17, 2012. Photo of George Clooney. LOS ANGELES – JAN 29: George Clooney arrives at the 18th Annual Screen Actors Guild Awards at Shrine Auditorium on January 29, 2012 in Los Angeles, CA. 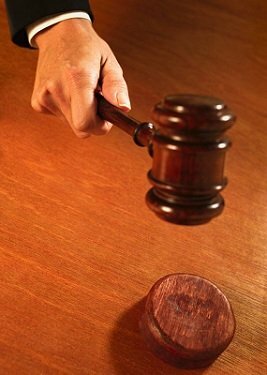 Copyright dreamstime.com. Latest Updates and Videos of Shelby! 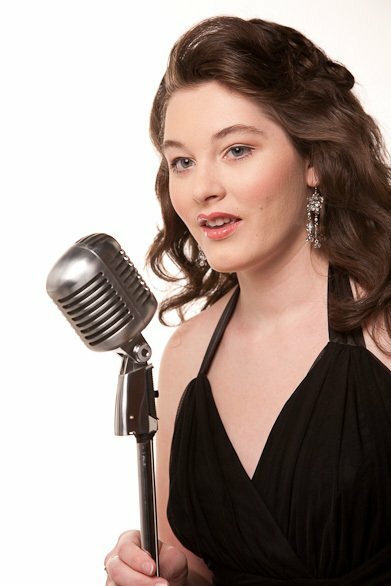 17 year old, Shelby Tweten from North Mankato, Minnesota auditioned for ‘American Idol’ in Denver, Colorado. Shelby and several of the contestants from Denver were invited to travel and stay in Aspen, Colorado for the round of auditions that were recorded for television. Shelby was also chosen to have a back-story about her life to be presented during the airing of the auditions on January 25th. In this video package, Shelby and her mom share a little bit about Shelby’s challenging journey. Just last year, Shelby was diagnosed with bipolar disorder. However, she says she has battled depression since the fourth grade. After Shelby’s audition, all three judges, Randy Jackson, Jennifer Lopez and Steven Tyler agreed to send her to Hollywood for the next rounds! UPDATE 2/23/2012 – Shelby did not make it into the Top 24. We are sad to see you go home, Shelby! But we are proud of you! Keep singing and go back next year! The Top 24 going into the Semi-Finals are Aaron Marcellus, Adam Brock, Baylie Brown, Brielle Von Hugel, Case Likens, Chelsea Sorrell, Colton Dixon, Creighton Fraker, Deandre Brackensick, Eben Franckewitz, Elise Teston, Erika Van Pelt, Haley Johnsen, Hallie Day, Heejun Han, Hollie Cavanagh, Jen Hirsh, Jeremy Rosado, Jessica Sanchez, Joshua Ledet, Phillip Phillips, Reed Grimm, Shannon Magrane, Skylar Laine. On Tuesday February 28th, they will be announcing a Surprise Save, as they add another boy into the Semi-Finals who was previously sent home. 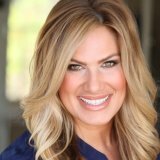 UPDATE 2/16/12 – Shelby moved on to the next rounds as the contestants went from 70 to 42. 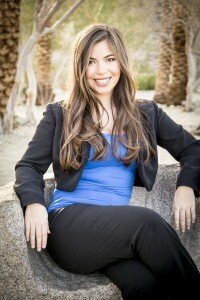 UPDATE 2/15/12 – Shelby survives Hollywood week and moved on to Las Vegas! UPDATE 2/15/12 – Shelby made it through group rounds! 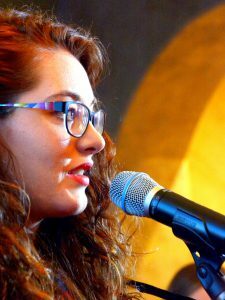 97 other contestants joined her, including Jennifer Malsh, Cari Quoyeser, Reed Grimm, Nick Boddingtom, Creighton Fraker, Aaron Marcellus, Jen Hirsh, Shannon Magrane, Joshua Ledet, Brielle Von Hugel, Amber Holcomb, Mathenee Treco, Ariel Sprague, Eben Franckewitz, David Leathers, Jr., Jeremy Rosado, Gabi Carrubba, Johnny Keyser, Heejun Han, Jairon Jackson, Richie Law, Phillip Phillips, Colton Dixon, Adam Brock, Skylar Laine and many more. Why Is the King of Romance Boycotting Valentine’s Day 2012? 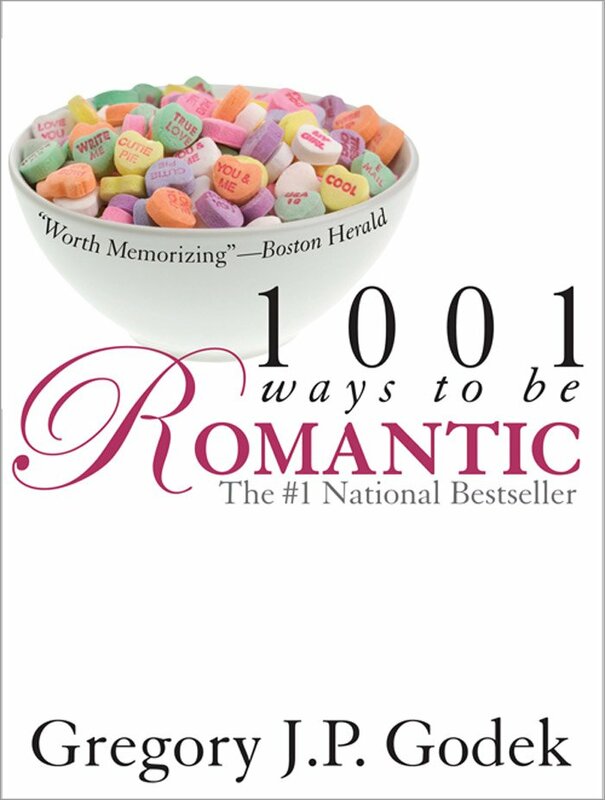 Why is Greg Godek, Author of the Bestselling book, 1001 Ways to Be Romantic Boycotting Valentine’s Day 2012? And what could this possibly have to do with the Invisible Disabilities Association? You may remember Greg when he was on Oprah, Phil Donahue and talked about on Jay Leno! He has been busy with many new books and projects, including speaking for groups and businesses! This year, he is Boycotting Valentines Day! Why you ask? Well, check out some of his Tweets! Keep reading and you will see what this has to do with IDA! 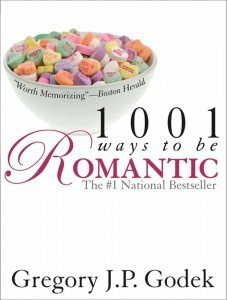 The author of “1001 Ways to be Romantic” supports “Boycott Valentine’s Day 2012” to help put the focus on spreading your love wider! Love & romance shouldn’t be focused on Valentine’s Day. They’re about EVERY day of the year. Don’t limit your love to ONE day! A great way to celebrate “Boycott Valentine’s Day 2012”: Spend half of your budget on your lover, and donate half to a charity. “Boycott V-Day 2012” gives you a way to spread your love by donating to a deserving charity: Invisible Disabilities Association! Invisible Disabilities helps people with non-visible conditions: Chemical sensitivities, chronic pain, cancer, etc. Instead of 12 roses for V-Day, give just ONE (with a great note attached) & donate the rest of your budget to the Invisible Disabilities Association! I’ll bet you know someone who lives with an invisible disability. Help them by donating half your V-Day budget. Let’s get back to saving the world. Do something special for your lover, then see Invisible Disabilities & donate! Read all of Greg’s Tweets on his Twitter account! Follow IDA on Twitter! 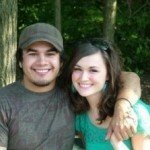 Donate to the Invisible Disabilities Association! Just $5 or more can make a big difference! Thank you, Greg, for your compassion and support to people living with illness, pain and disability! 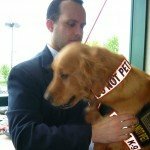 Keynote Speaker for IDA’s 2011 Banquet, Luis Carlos Montalván and his Service Dog Tuesday were on the Late Show with David Letterman in July. Fmr Capt. 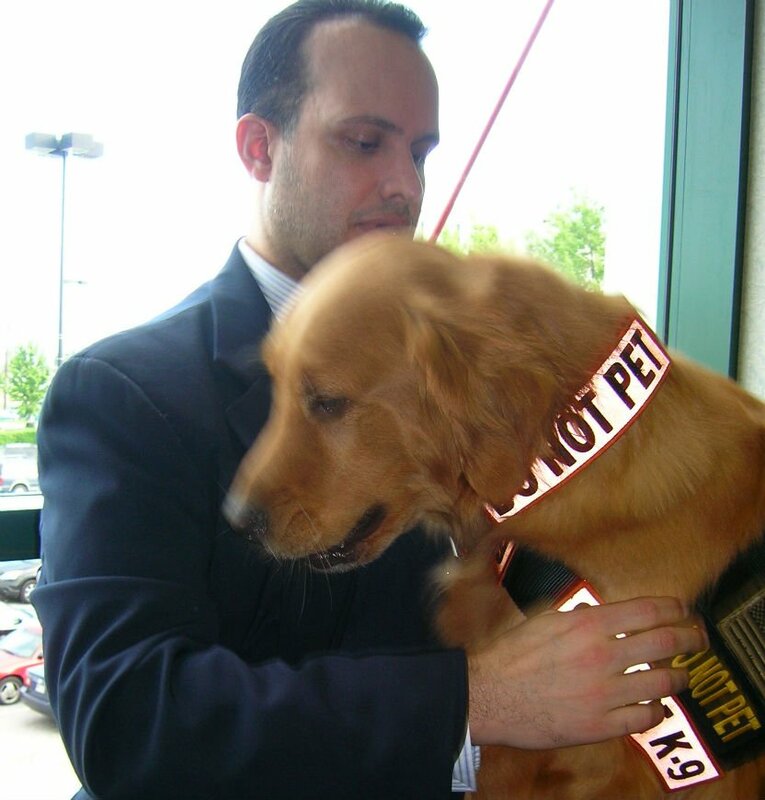 Luis Carlos Montalván is the author (with Bret Witter) of Until Tuesday: A Wounded Warrior and the Golden Retriever Who Saved Him. The book debuted on the the New York Times Best Sellers List! This book is a story about one soldier’s battle after the war, with several debilitating wounds including Post Traumatic Stress Disorder and Traumatic Brain Injury. Until Tuesday came into Luis’ life, he could barely leave the house due to Agoraphobia. Read this incredible, real-life “tail” of how Tuesday rescued Luis and how they are bringing awareness and hope to others living with invisible disabilities! Luis and Tuesday on the Late Show with David Letterman in July (watch clip on YouTube). 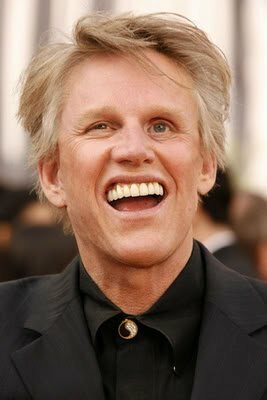 Actor Gary Busey joined Donald Trump’s hit TV reality show, “Celebrity Apprentice,” this season. On the episode that aired March 21st, Busey took on the role of project manager for his all male team, Team Backbone. The challenge was to create a display “camping experience” for Camping World. Although there were several hurdles the team experienced, Busey’s team won the challenge. The prize was a $20,000 donation and $20,000 in goods from Camping World to his chosen charity, The Center for Head Injury Services in St. Louis, MO. 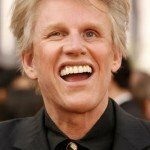 Busey began his movie and television acting career in the 1970’s. He was nominated for his role in the movie “The Buddy Holly Story,” as the Big Bopper in 1978. “Depending on the part of the brain affected and the severity of the injury, the result on any one individual can vary greatly. Personality changes, memory and judgement deficits, lack of impulse control, and poor concentration are all common. Behavioral changes can be stressful for families and caregivers who must learn to adapt their communication techniques, established relationships, and expectations of what the impaired person can or cannot do” (Family Caregiver Alliance). 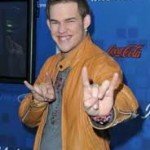 James Durbin Latest News, Videos and Updates Below! 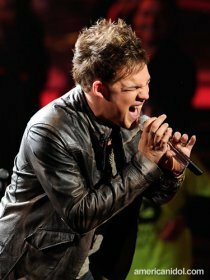 21-year-old James Durbin of Santa Cruz, CA auditioned for American Idol in San Fransisco, which aired on February 9, 2011. 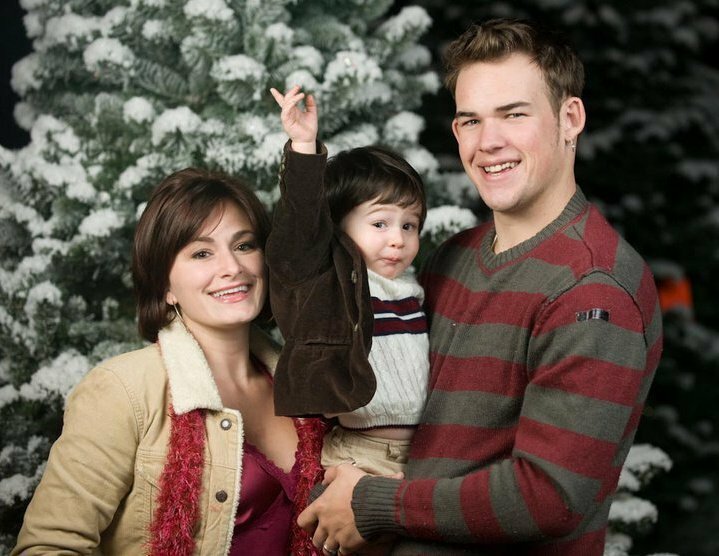 James and Heidi have a beautiful son, Hunter, and had been struggling to get by each day. He had recently been laid off from his job, before the auditions. The American Idol opportunity is more than just a dream for James and his new family. Randy Jackson jumped in to say, “I like your voice. I like your range.” Steven Tyler added, “Wow, that was OVER the top!” All of the judges were happy to give James a “golden ticket” to Hollywood! Since then, James has continued to soar through Hollywood week to the Top 13 and beyond! See all the latest updates, videos and more resources below! What’s more James has already become an idol for those living with Tourette’s and Asperger’s. He has brought awareness and hope to children, adults, parents and loved ones around the world! UPDATE 4/6/12: James released his album, Memories of a Beautiful Disaster, on November 2011. He and his longtime girlfriend and mother of their child, Hunter, were married on New Years Eve 2012. The ceremony was on the edge of a California redwood forest and Hunter was the ring bearer. Fellow ‘American Idol’ contestants from Season 10 Casey Abrams, Haley Reinhart and Stefano Langone also attended. James is not only enjoying a career doing what he loves, but he continues to bring about awareness and support of Tourette’s and Asperger’s. James encourages those living with these conditions to keep dreaming and keep pursuing their goals, despite their challenges. James shares his own personal struggles with being teased as a child and how others can believe in themselves. 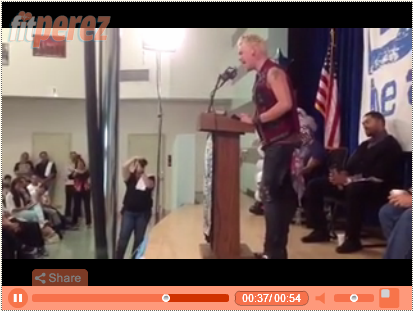 As a result, James brings a message of anti-bullying. “James shared his emotional personal story of being bullied while in school — and how, after he took action and reported the bullying to school officials, the bully would come back months later… to apologize” (mjsbigblog). In light of James’ fight against bullying and mistreatment of kids by other kids, James is asking all of his fans and those who stand behind his message to help him “trend” the hash-tag, #outcastarmy on Twitter. Thank you, James, for continuing to give hope and inspiration to children, adults, parents and teachers! You have a passion and a gift that is being used to make this world a better place! 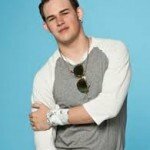 James Durbin’s Rock ‘N Roll Wedding Video. Marisa Laudadio and Alla Byrne. People. January 9, 2012. 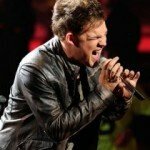 LATEST American Idol NEWS AND UPDATES! James seemed very disappointed, but quickly mouthed the words, “It’s OKAY!” to Heidi who was in the audience. His Goodbye Performance was very touching, as he and Heidi embraced then tears rolled down his face. 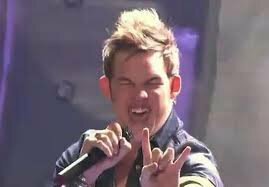 James, we will miss you on American Idol, but we were surely see you around! 5/2011 UPDATE: James advanced to the Top 4. Tonight they showed just the bottom 2, which were Jacob Lusk and Lauren Alaina. Jacob Lusk was sent home. 5/4/2011 UPDATE: Everyone in the Top 5 sang 2 songs. 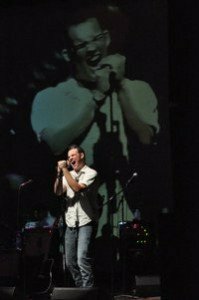 James’ first song was an upbeat tune, “Closer to the Edge.” His second song was a very emotionally delivered Badfinger’s tune, “Without You.” James struggled to get through the song in rehearsal, because the lyrics made him think of Heidi and Hunter when they would visit him, then have to leave and how much he misses them. 4/28/2011 UPDATE: James advanced to the Top 5. This week, they did not specifically say the last 3 standing were in the bottom 3. However, the last 3 standing were Casey Abrams, Jacob Lusk and Scotty McCreery. Casey Abrams did not advance and was sent home tonight. Watch Casey’s Swan Song! 4/ 21/2011 UPDATE: James advanced to the Top 6. This week he brought out the contemporary alternative song, “Uprising,” delivered with pizazz. Stephano was the one who went home this week. Stefano was in the bottom 3 with Haley Haley Reinhart and Jacob Lusk. James and Scotty McCreery have yet to be in the bottom 3. 4/14/2011 UPDATE: James advanced to the Top 7. Paul McDonald was sent home. Stefano Langone and Haley Reinhart were in the bottom 3 wtih him. 4/7/2011 UPDATE: James advanced to the Top 8. Pia Toscano was sent home. Stefano Langone and Jacob Lusk were in the bottom 3 with her. James and Scotty McCreery have yet to be in the bottom 3. 3/31/2011 UPDATE: James advanced to the top 9. Naima Adedapo and Thia Megia were both sent home. Paul McDonald was in the bottom 3 with them. 3/24/2011 UPDATE: Casey Abrams had least votes, but the judges kept him with their only SAVE of the season. All 11 will go on tour. Two will be cut next week. Stephano Langone and Thia Megia were in the bottom 3 with Casey. 3/18/2011 UPDATE: James advanced to the Top 11. Karen Rodriguez was sent home. 3/10/2011 UPDATE: James advanced into the Top 12. Ashthon Jones was sent home. 3/3/11 UPDATE: James advanced into the Top 13. 2/25/11 UPDATE: James advanced into the Top 24. Boys sing Tuesday March 1 and girls on Wednesday March 2. 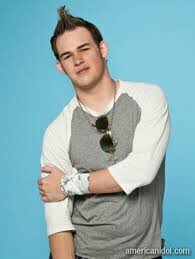 2/17/11 UPDATE: James moved on to the final round in Hollywood to determine if he will be in the top 24. James in Hollywood first and second rounds. Top 4 Results Show. Saying goodbye to James. Recap of his journey. 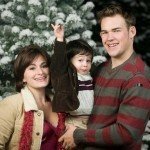 Photos of James Durbin and family. 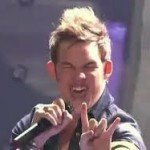 James Durbin Facebook Page. Photo of James on stage. James Durbin Facebook Page. 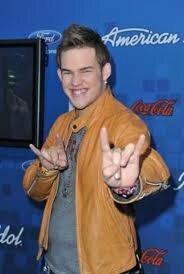 Idol contestant James Durbin gives Tourette’s and Asperger’s syndrome a new face. Invisible Challenges with Autism (and other developmental differences).